Half full planets generate the maximum Basic Growth, i.e. 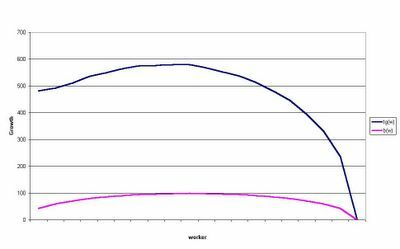 w = POPmax / 2 in equation (I). 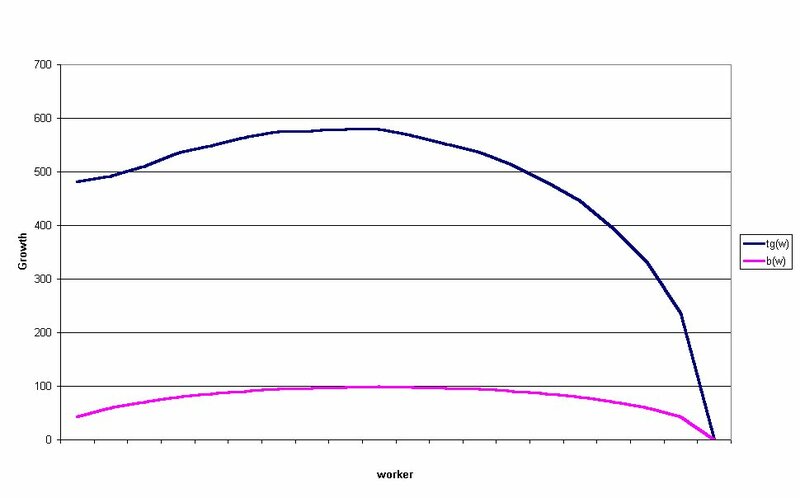 But we receive the maximum Basic Growth Rate with w = 1 in equation (II). is always below zero which is the mathematical reason why the slight increase in the Total Growth is driven by the Basic Growth. This characterizes one part of the problem. 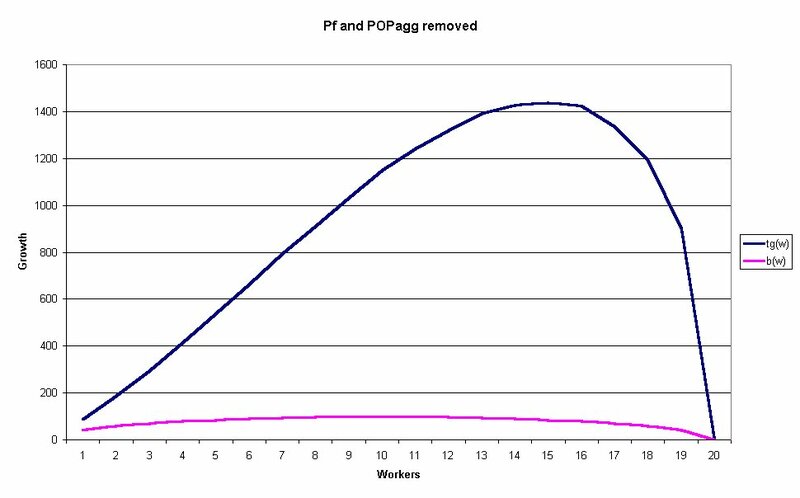 When the first pop unit starts with housing the marginal contribution is quite big because of the fixed Production pf which is also used for housing. 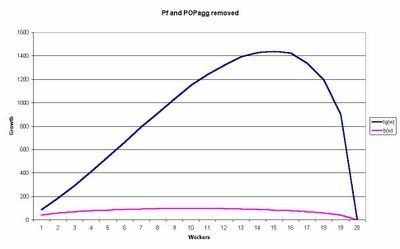 and again with POPagg = w we have h = k/2.5. One could argue that excluding pf makes economically sense. Improving growth is driven by government policies which are mainly based on subsidies (tax-reductions), services (kindergarten) etc. but not by the industrial complex. Housing itself seems an inapproriate expression - Childbearing (which was proposed by Cybersaber here) seems to fit better. 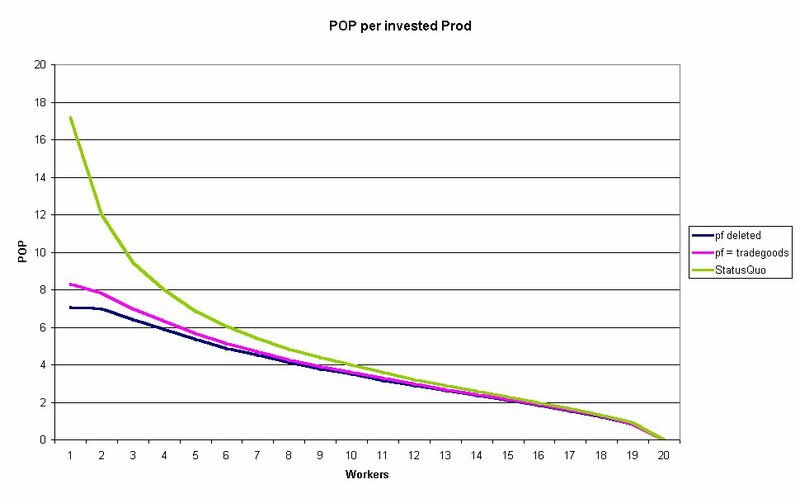 A good indicator for an efficient housing strategy should be based on the ratio of the pop-increase tg(w) - b(w) = h(w) * b(w) and the invested production units. a) This Prod is simply lost. c) It is simply stored. 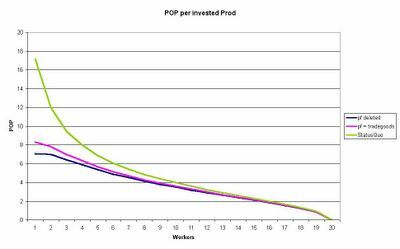 Under the status quo 1pop housing is by far the most effective choice. 1prod generates then roundabout 17k pop. 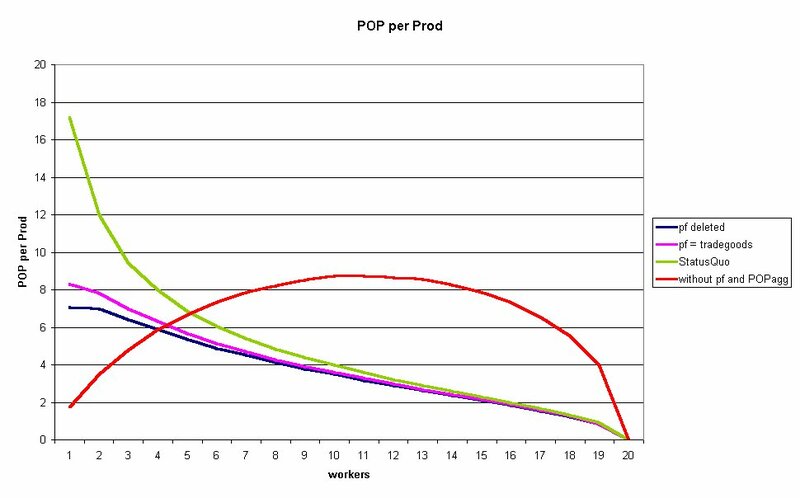 When the pf is transferred to tradegoods it decreases to 10k and when we delete this prod just 7.1k pop per prod unit are left (1pop housing). What happens when we store this production? In this case we have the same efficiency as under the status quo. It is not quite clear which is the approriate ratio here because there is still the alternative of basic growth. We surely have to test this in several games. 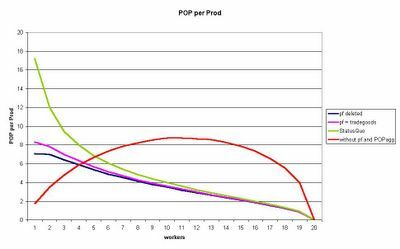 1pop housing is no longer the most effective choice. Instead of such dominant value we have now a wide range of acceptable housing decisions. Does such change improve the AI? Once again. No idea at moment. I know for sure that the AI doesn't use 1pop housing systematically. When it uses housing with more than 1worker under the status quo the AI should be improved. 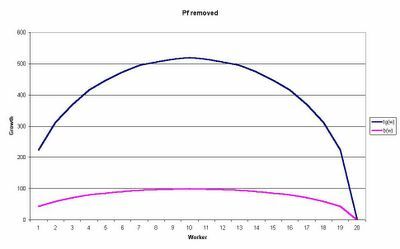 Because of the above-mentioned difficulties it would be nice to test different housing and basic growth functions. We receive (IVc) with the switch /h=1;10 then. 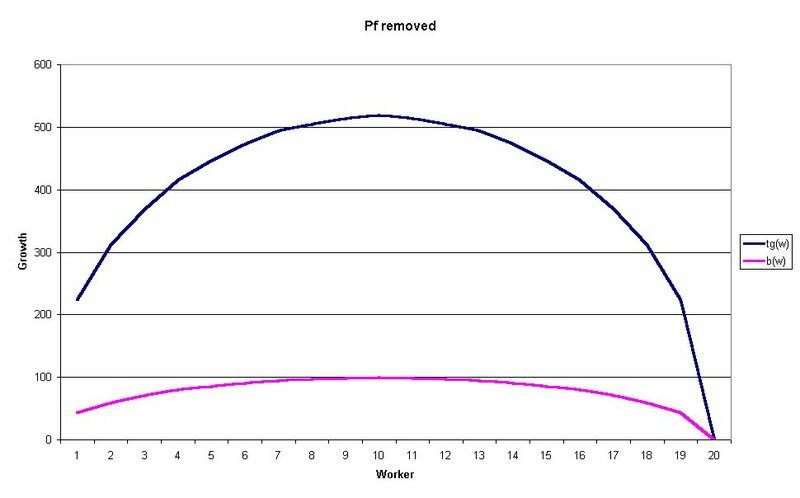 Furter, c is a good value to influence the basic growth for 1pop planets. This should be sufficient to find a good alternative formula.